(JACKSON, Miss.) –Harold Jackson, a five-time All-Pro wide receiver and 10-year National Football League coaching veteran, is the new head football coach for Jackson State University. Jackson is one of JSU’s favorite sons. He was hailed as such on Monday during a news conference announcing his selection. Jackson, a Mississippi native, said he was glad to come back home and his priorities would be player development and local recruitment. JSU President Carolyn W. Meyers said Jackson was chosen based on his experience and his commitment to player development and academic achievement for scholar-athletes. Dr. Vivian Fuller, JSU director of athletics, said Jackson is someone the players could respect as a role model. She said he knows firsthand JSU’s traditions and values being a former JSU player. Though he’s most recently lived in Los Angeles, he’s remained a fixture in the JSU community, she said. Jackson succeeds Rick Comegy, whose contract wasn’t renewed in December. Jackson commended Comegy’s program, but said he’s ready to take it to another level. Following an outstanding collegiate career at JSU, Jackson enjoyed a sterling 16-year NFL playing career with the Los Angeles Rams (1968, 1973-77), Philadelphia Eagles (1969-72), New England Patriots (1978-81), Minnesota Vikings (1982) and Seattle Seahawks (1983). Professionally, Jackson has coached at New England (1985-89), Tampa Bay (1992-93) and New Orleans (1997-99). As a collegiate coach, he has been on staff at North Carolina Central University (1990), Virginia Union University (1994), Benedict College (1995-96), the University of Kentucky (2001-02) and Baylor University (2003-06). In his first season as a coach, the New England Patriots won the AFC championship and played in the 1986 Super Bowl. From New England, Jackson served as an assistant coach at North Carolina Central University in Durham, N.C., during the 1990 season. In 1991, he was the offensive coordinator for the New Orleans Night of the Arena Football League before returning to the NFL at Tampa Bay. Following his two-year coaching stint with Tampa Bay, Jackson spent the 1994 season as the head coach at Virginia Union College. He then served as head coach for two seasons (1995-96) at Benedict College, where he helped revive a football program that had been dormant for 29 years, before joining the Saints’ staff in 1997 under head coach Mike Ditka. He was a member of the Saints staff for three seasons. After his stint with the Saints, Jackson moved on to the Southeastern Conference to coach receivers at Kentucky under head coach Guy Morriss. In his first year at UK, wide-out Derek Abney became a first-team All-SEC performer, a feat he repeated in 2002 when he also earned first-team All-America honors. Jackson also oversaw the development of Aaron Boone and Tommy Cook, who blossomed as reliable contributors during the 2001 campaign. After two seasons at UK, Jackson went to Baylor to coach wide receivers for Morriss. In his first year on the BU sideline, Jackson coached All-Big 12 performer Robert Quiroga, who snagged a team-high 42 receptions for 490 yards and four touchdowns, and averaged 31.4 yards on 14 kickoff returns. Dominique Zeigler led the 2004 Bears in receptions (55) en route to honorable mention coaches All-Big 12 recognition and paced the 2005 squad with 48 receptions to garner second-team coaches All-Big 12 honors. During his four seasons at Baylor, Jackson coached two of BU’s six all-time wide out trios, who each recorded at least 30 receptions in a season. In 2011, Jackson returned to professional coaching with the Hartford Colonials of the UFL (United Football League) and then with the Sacramento Mountain Lions in 2012. 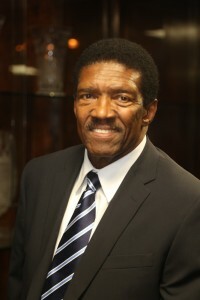 Jackson, a 1968 JSU graduate, is a member of both the Mississippi and JSU Sports Hall of Fame. Great job JSU…Great Coach with home training and great experience!